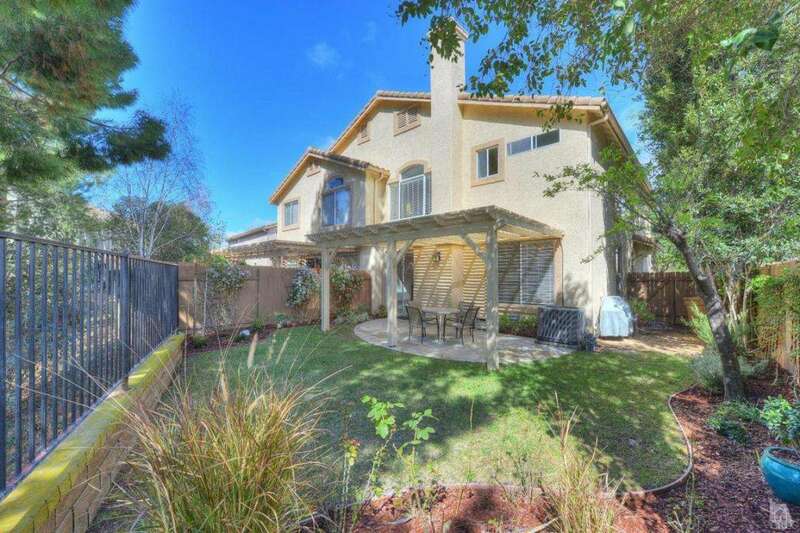 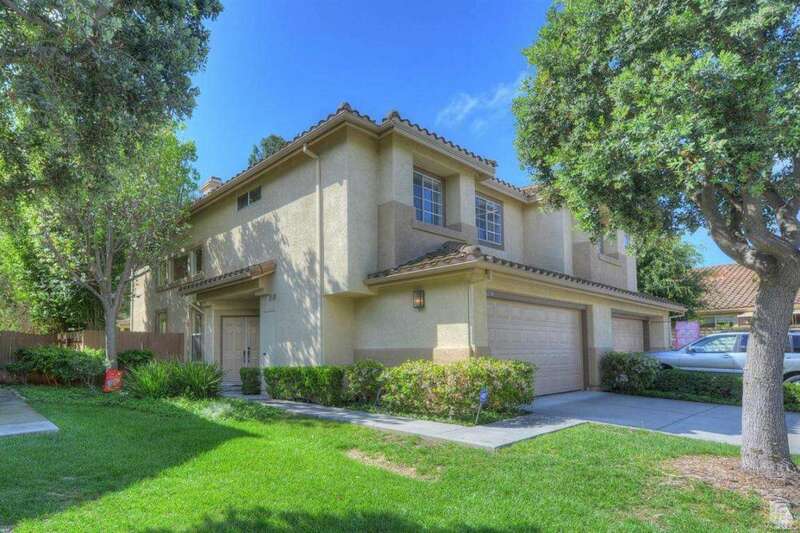 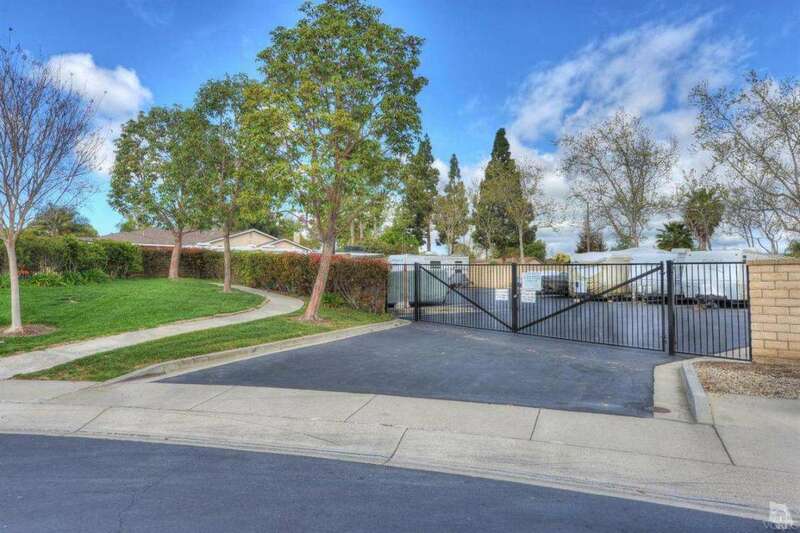 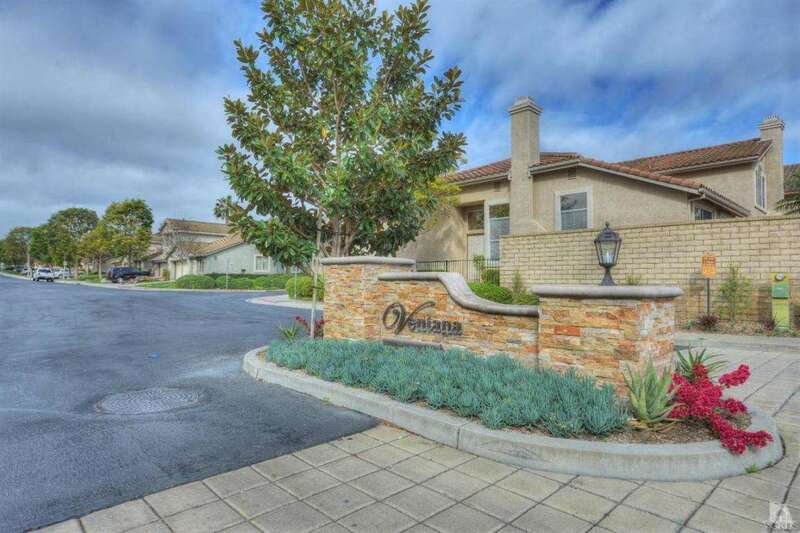 Situated on the view side of a quiet cul-de-sac in the well-manicured Ventana neighborhood is this lovely 3BD 2.5 BA home with only one neighbor attached. 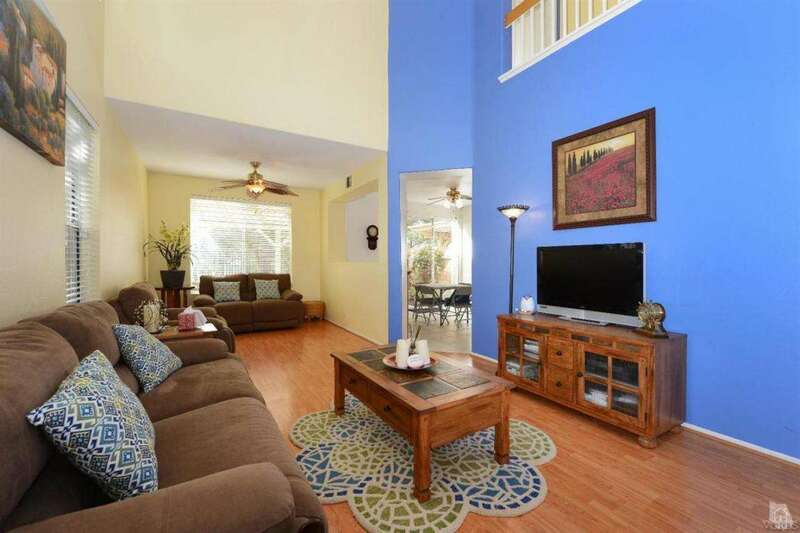 This move-in ready home features an open floor plan, high ceilings w/lots of natural light, recessed lighting, ceiling fans & Decorator paint throughout, and 2-car attached garage w/direct access. 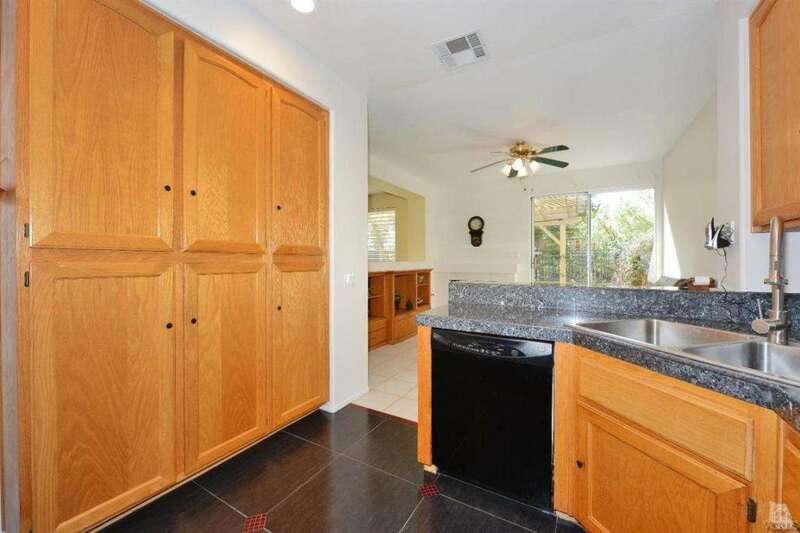 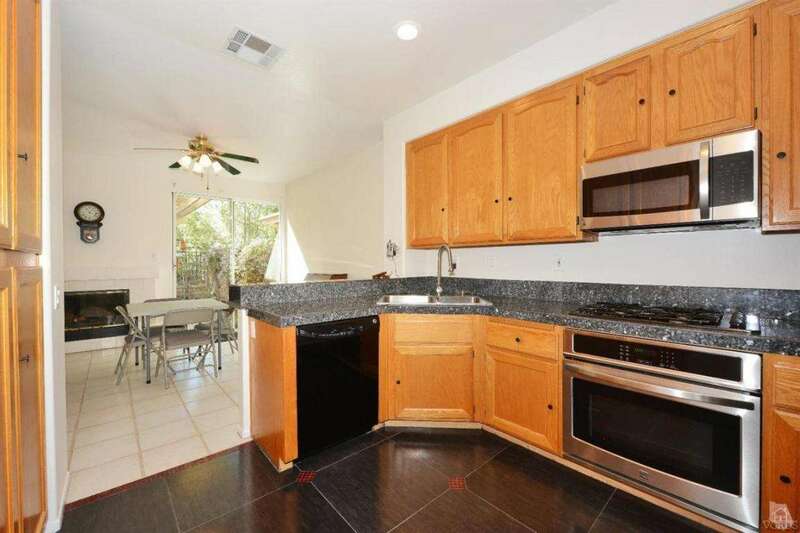 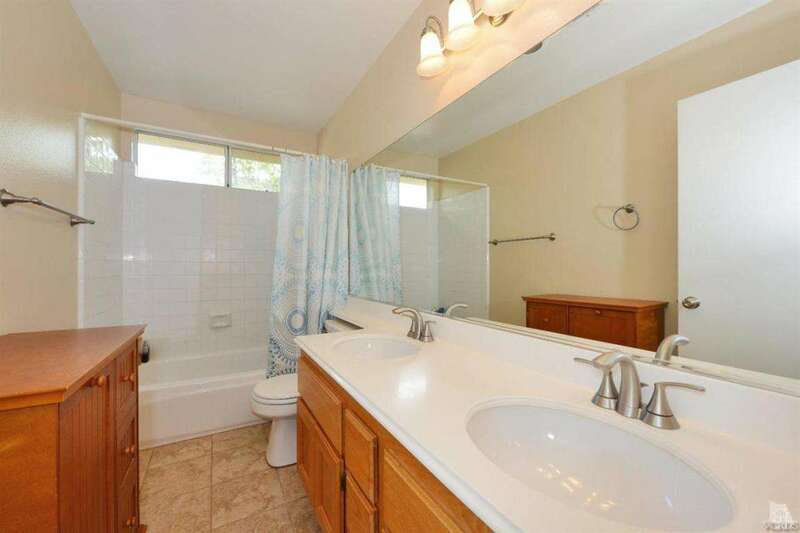 Updated kitchen boasts oak wood cabinetry, granite counters, stainless steel sink w/newer faucet fixtures, built-in microwave, breakfast counter/bar, and opens to the family room w/cozy fireplace. 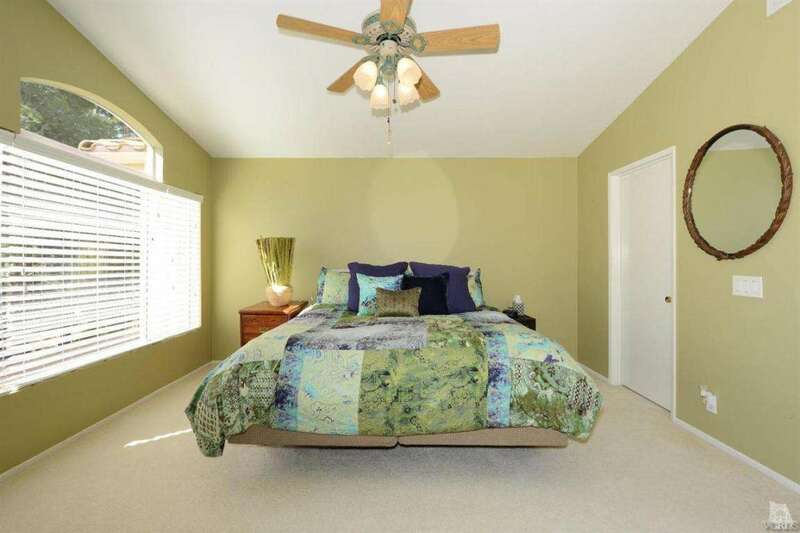 The master bedroom offers neutral carpet, ceiling fan, walk-in closet, and master bathroom w/convenient step-in shower & dual vanity sinks. 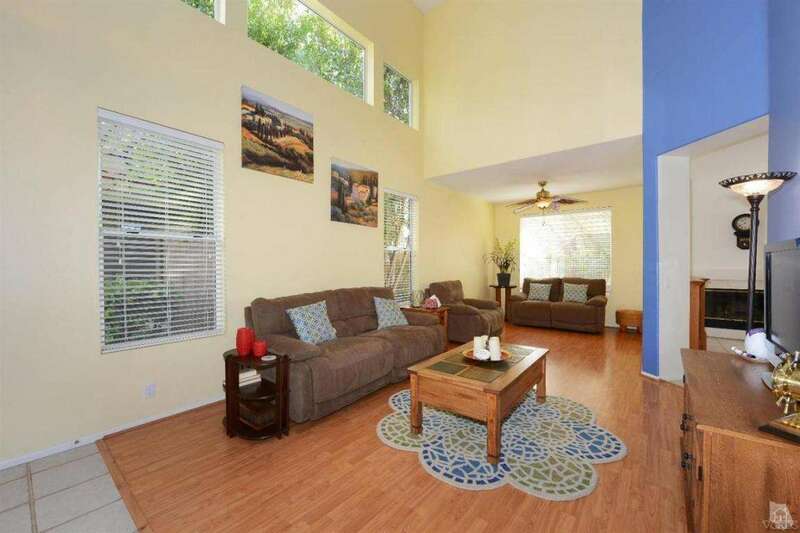 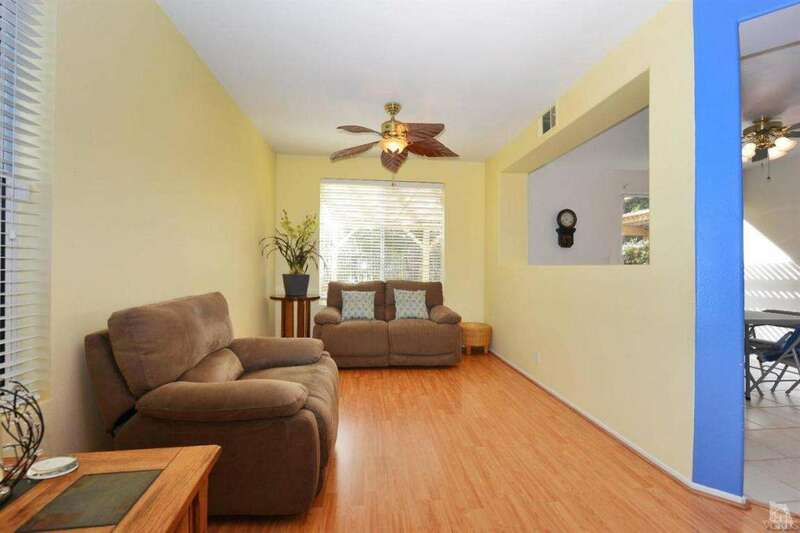 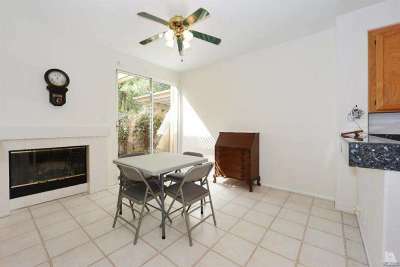 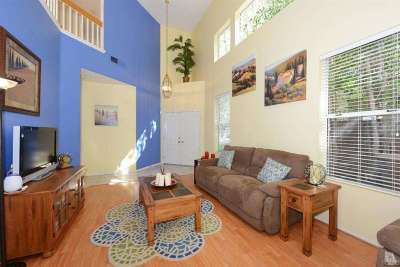 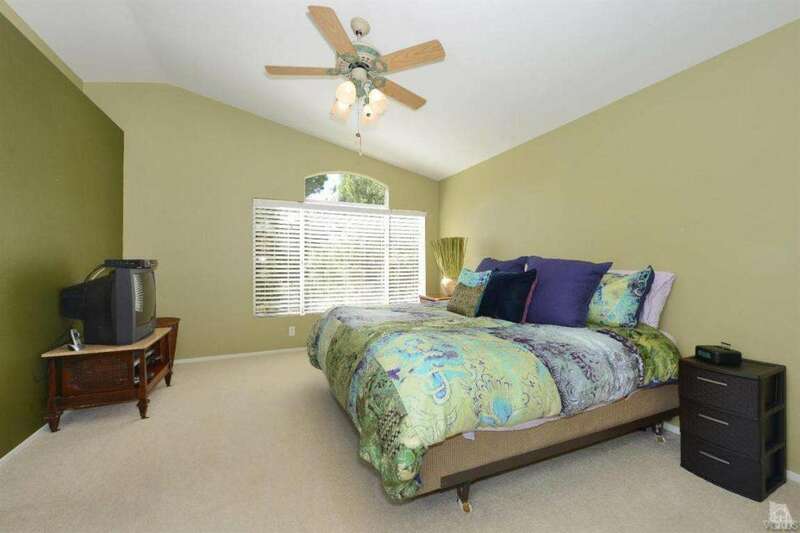 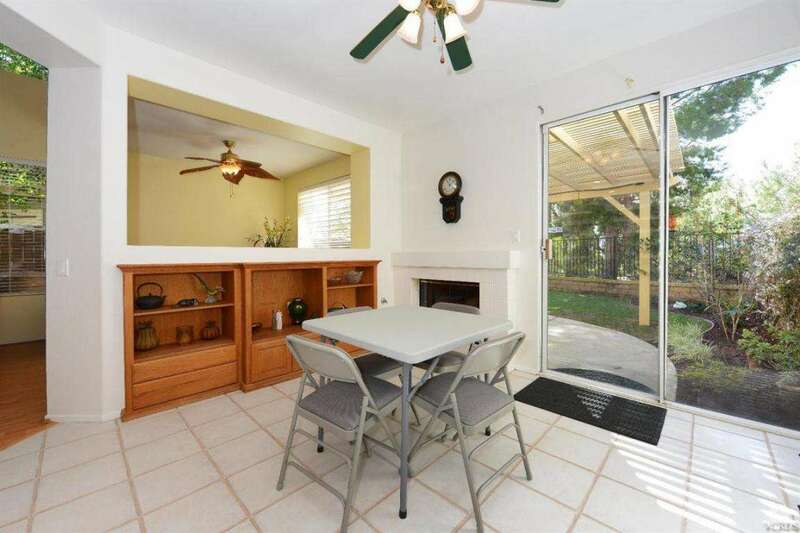 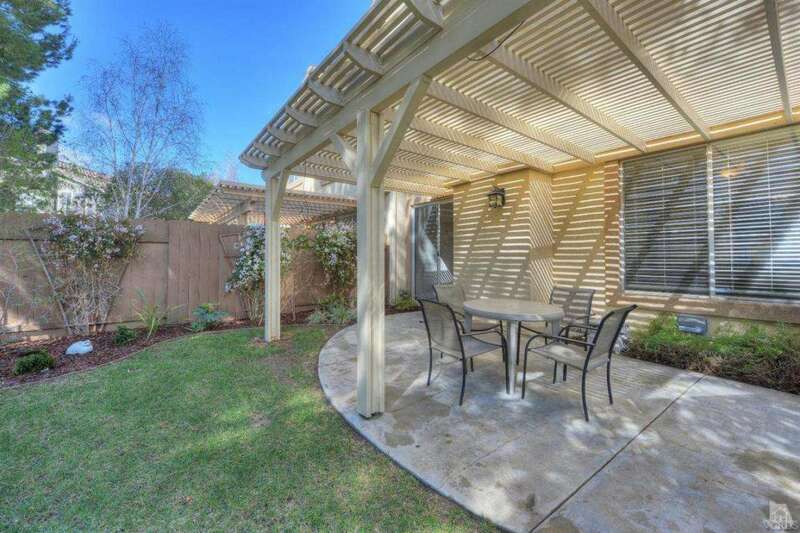 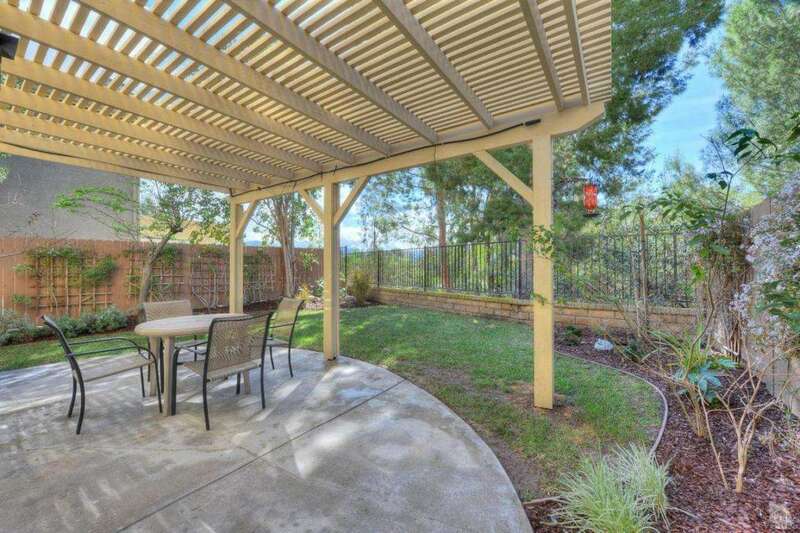 Relax in the serene backyard complete with covered patio, grassy area, mountain views & mature trees for added privacy. 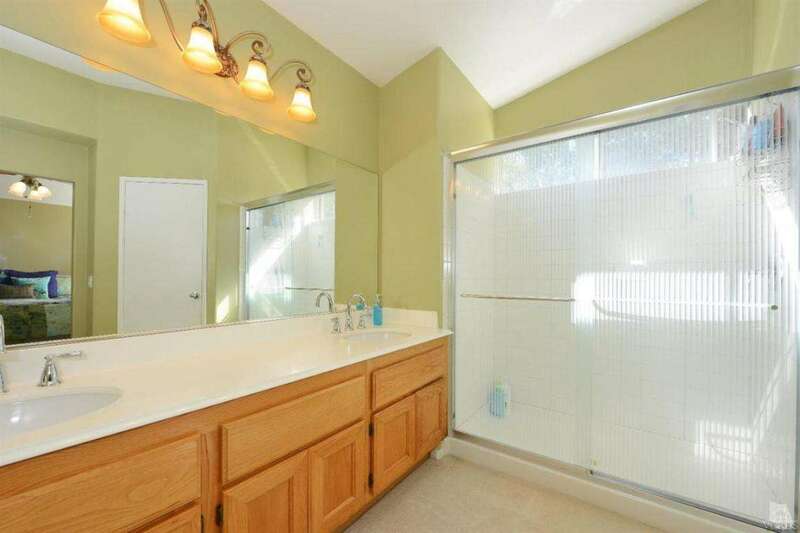 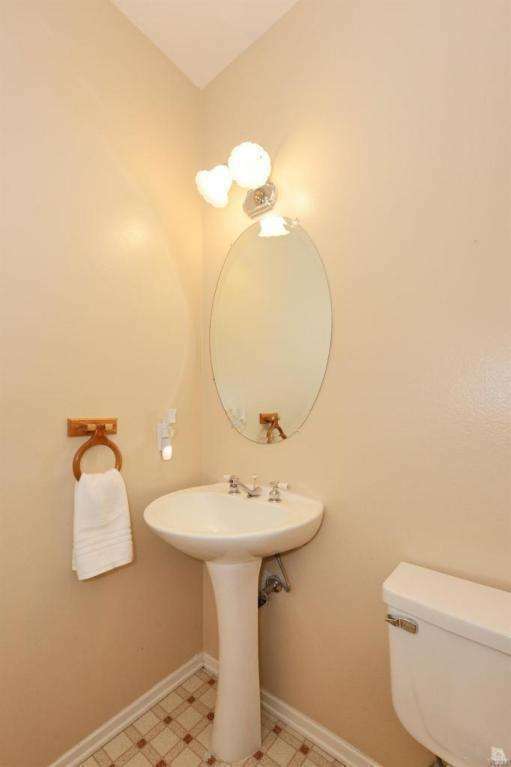 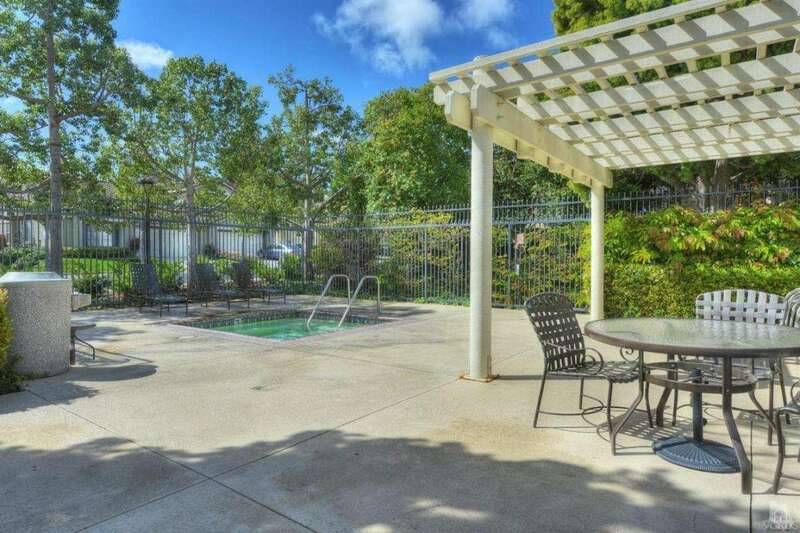 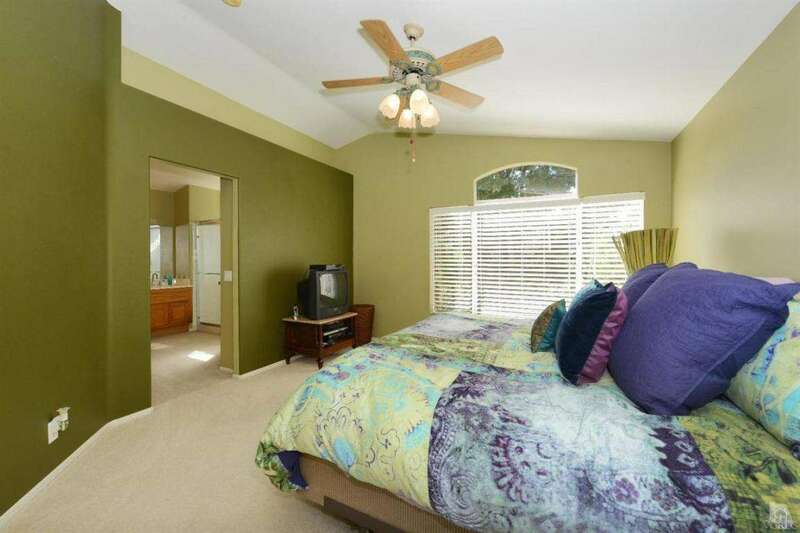 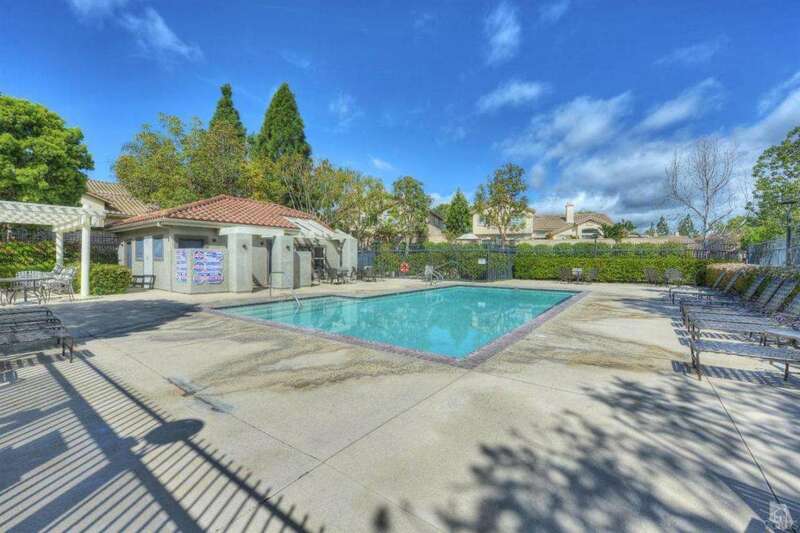 This lovely home is conveniently located with close proximity to the sparkling community pool & spa. 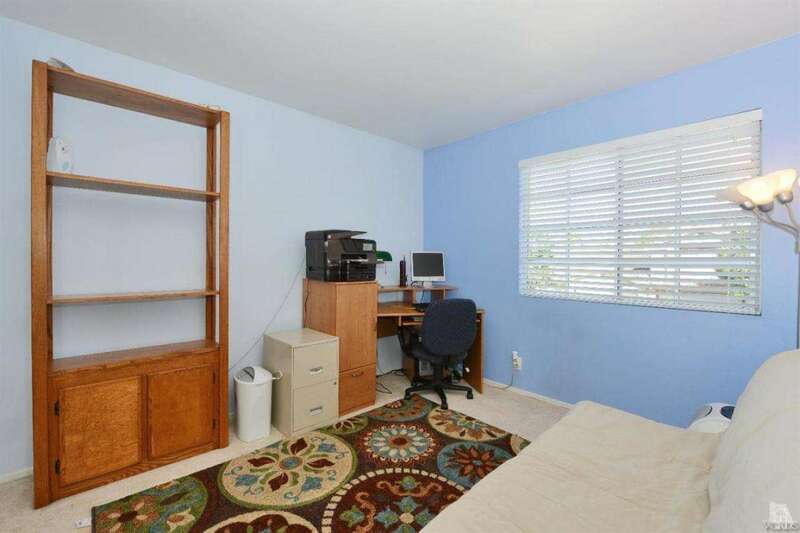 HOA also includes exterior maintenance, landscape, picnic area & RV storage area.